Learning about each origin allows us to understand and build relationships with our contacts. It’s vital for us to share this with all of you so that you can understand the story behind each of our chocolate bars. These organic, direct trade cocoa beans were sustainably sourced by Maya Mountain Cacao (MMC) a part of the Uncommon Cacao Group. MMC works in the southernmost Toledo District of Belize in Central America. Their mission is to improve the livelihoods by directly connecting smallholder farmers to the specialty chocolate industry while contributing to reforestation efforts and promoting sustainable organic agricultural practices in southern Belize. MMC has worked with over 375 shareholder cacao farming families, most of them Q’eqchi’ and Mopan Maya. In 2015, MMC had established the Na’Lu’um Cacao Institute (NLCI) to support shareholder farmers by providing large scale technical assistance and education to improve their yield, productivity and quality of cacao grown on their farms. NLCI created a demonstration farm and within 18 month had their first harvest and will continue to develop opportunities to help farmers in the years to come. In 2014, Barbara Wilson and Jose Meza of Mindo Chocolate Makers in Dexter, MI received Heirloom designation by the Heirloom Cacao Preservation for their cocoa beans. They received results that showed evidence that the variety of the beans were Arriba Nacional, an heirloom variety found almost exclusively in Ecuador. The Nacional cacao trees grown in Puerto Quito are rich in history where multiple generations have taken part in planting and harvesting their cacao. Farmers are paid higher than fair trade price for their crop. Given their familial connection to the cacao and receiving a higher wage, they are not inclined to deviate from the growing and harvesting methods historically used and understand that they must take good care of their trees to continue growing high quality cacao. 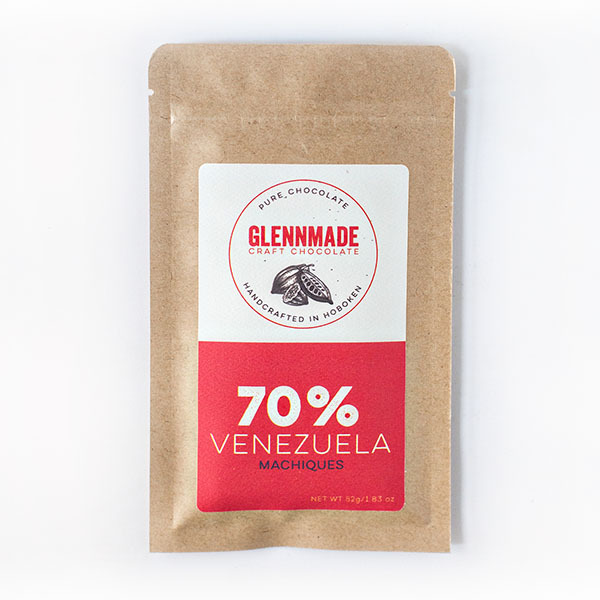 These Nacional variety beans have a complex flavor profile that grows intermixed with other plants and trees that promote habitats for midges, cocoa pollinators, birds and other animals. These organic cocoa beans were sourced through the ASODIRP, a community-based association of smallholder farmers located in Laguna Lachua region of Alta Verapaz, Guatemala by Cacao Verapaz. Alta Verapaz is located in the north central region of Guatemala. ASODIRP is one of three associations, along with K’ATB’ALPOM and ASOSELNOR which contribute to the preservation of the Laguna Lachua National Park which borders their community. These organic, direct trade cocoa beans were sourced through the Kokoa Kamili Cooperative (KKC) located in the Kilombero Valley in Tanzania. KKC works with approximately 1,500 small shareholder farmers and pays them an above market premium wage for their wet cocoa and conducts its own fermentation and drying. By taking over the fermentation and drying KKC can produce more consistent and higher quality cocoa beans. This allows farmers to receive greater compensation, a reduced workload and immediate payment for their wet beans. Historically cocoa farmers in Kilombero Valley received the lowest prices for their cocoa in Tanzania. After KKC’s first year working with the farmers, the farmers received the highest prices in the country for their cocoa beans. These organic cocoa beans were sourced by Cacao Marquez (CM) based in Zulia, Venezuela. CM found ancient Criollo Porcelana beans near the caves of Sorotaima in Machiques, Venezuela. These caves are located on a plantation surrounded by two rivers that had kept the cacao untouched for many generations, preserving its authenticity and flavor. CM prides itself in preserving their native Venezuelan cacao and works hard to ensure that they pay careful attention during the fermentation process and complete the fermentation at their facilities in Maracaibo, Venezuela. To deliver high quality cocoa beans, CM washes the beans after fermentation to remove impurities as well as to lower their level of acidity. These beans are then dried under Zulia’s intense sun, lowering the humidity percentage to effectively dry the beans and ready them for export. In 2009 Dan Pearson and his stepson Brian Horsley came across cacao trees along a hidden mountain valley along the Maranon River in Peru. After getting the cacao tested, the DNA results revealed that the cacao was of the Pure Nacional variety, among the rarest cacao in the world. What they learned from testing was that 40% of the beans were white and not the typical purple color of cacao. Dr. Lyndel Meinhardt, who had tested these beans, had mentioned that when cacao trees are left undisturbed for hundreds of years, mutations occur and as a result the beans become white. The Pure Nacional variety of cacao originated from Ecuador in the 1600s but over time the cacao was susceptible to disease and a lot of the prized crop was destroyed in the early 1900s, drastically decreasing the amount of Pure Nacional in Ecuador. Today there are many farmers in the Maranyon Canyon area that grow this Pure Nacional cacao. Pearson’s company, Maranyon Chocolate, purchases all of the cacao at a premium price and meticulously processes the beans before they export them to chocolate makers across the world as well as making a well known couverture chocolate, Fortunato No. 4, generously named after the farmer, Don Fortunato, whose farm houses the mother tree of this prized and sought after cacao.